Every Tuesday when you spend $5 on anything at Spinners you'll get 10 points added to your Belly rewards account getting you free discs, gear, even a lesson! Starting June 1st & every Friday through August you will get 10% OFF your purchase at Spinners when you show us you have checked in to Facebook from your phone! We will be doing different specials everyday so stay tuned for more ways to save this Summer!! We're taking 20% OFF Memorial merchandise at Spinners on the Green, Mondays through August. 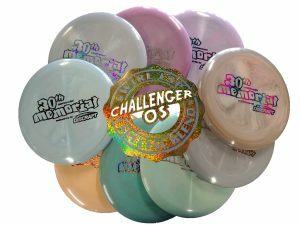 That means great deals on Jawbreaker Buzzz, SN SuperColor Buzzz as well as Special Blend Swirl ESP from the 3oth Annual Memorial Championship. Come by and see us!